Vitamin C, or ascorbic acid, is a white, crystalline, water-soluble substance found in citrus fruits. As an antioxidant, vitamin C scavenges free radicals in the body and protects tissues from oxidative stress.1-8 Vitamin C also promotes the absorption of iron, while preventing its oxidation.9,10 Vitamin C is a vital cofactor to the formation of collagen, the connective tissue that supports arterial walls, skin, bones, and teeth.4-6 A major immune-supporting activity of vitamin C is boosting glutathione levels in human lymphocytes,38 cells that make up about 25% of all white cells in the blood. Vitamin C Powder contains four buffering minerals, in addition to ascorbic acid. When mixed with water, this product produces a reduced-acid solution that is non-irritating to the stomach and intestinal lining. The minerals also make it a more pleasant-tasting and healthful drink. The substances used in this product make it effervesce for a short while when it is mixed with water. Ingredients: Ascorbic acid, calcium carbonate, magnesium carbonate, zinc gluconate, potassium carbonate. Mix one (1) teaspoon of Buffered Vitamin C Powder into a glass of water. Wait for the fizz to stop before consuming. The minerals buffer out normally acidic vitamin C to make a pleasant tasting drink. To ensure product consistency store tightly closed in a cool, dry place. This product may cause diarrhoea, if taken in high doses, especially on an empty stomach. For optimal benefits, begin with low doses during meals and gradually increase it. 1. Biochim Biophys Acta. 2012 Dec;1826(2):443-57. 3. Adv Nutr. 2011 Mar;2(2):78-88. 4. Altern Med Rev. 2003 Nov;8(4):359-77. 5. J Invest Dermatol. 2002 Apr;118(4):565-72. 6. Radiat Environ Biophys. 2007 Mar;46(1):61-8. 7. Free Radic Biol Med. 2007 Sep 1;43(5):853-9. 8. PLoS Negl Trop Dis. 2012;6(7):e1729. 9. Br J Nutr. 2003 Dec;90(6):1081-5. 10. Am J Clin Nutr. 2006 Oct;84(4):830-4. 11. In Vivo. 1994 Nov-Dec;8(6):1079-85. 12. Ann Nutr Metab. 1990;34(2):85-92. 14. Am J Clin Nutr. 2007 Jul;86(1):145-9. 15. Genet Test Mol Biomarkers. 2012 Sep;16(9):1001-6. 16. Environ Toxicol Pharmacol. 2011 Jan;31(1):137-42. 17. Acta Biochim Biophys Sin (Shanghai). 2012 Apr;44(4):330-8. 18.Nig Q J Hosp Med. 2012 Apr-Jun;22(2):85-90. 19. Toxicology. 2005 Jul 1;211(1-2):26-35. 20. Chem Biol Interact. 2001 Jul 31;137(1):75-88. 21. Environ Health Perspect. 2000 Feb;108(2):105-8. 22. Am J Ther. 2007 Mar-Apr;14(2):189-93. 23. Am J Clin Nutr. 2000 Feb;71(2):530-6. 24. Toxicology. 2002 Nov 15;180(2):121-37. 25. J Am Coll Cardiol. 2003 Nov 5;42(9):1656-62. 26. J Pediatr Gastroenterol Nutr. 2003 Jul;37(1):53-62. 27. Cancer Sci. 2003 Apr;94(4):378-82. 28. Adv Ther. 2002 May-Jun;19(3):151-9. 29. Br J Dermatol. 1980 Jan;102(1):49-56. 30. Respir Med. 2007 Aug;101(8):1770-8. 31. Acta Obstet Gynecol Scand. 2007;86(7):783-7. 32. J Int Med Res. 2012;40(1):28-42. 33. Vopr Pitan. 1978 Jan-Feb;(1):44-8. 34. J Am Coll Nutr. 1990 Apr;9(2):150-4. 35. Jpn J Physiol. 1999 Apr;49(2):159-67. 36. Indian J Med Res. 2002 Jul;116:29-34. In 1937, the Nobel Prize in Physiology was awarded to Albert Szent-Gyorgyi for his research on vitamin C. At the time, vitamin C was a rare commodity and could only be extracted from adrenal glands or massive amounts of orange juice. Szent-Gyorgyi’s discoveries helped launch an onslaught of vitamin C research, especially into its ability to enhance immune function. The human body does not produce vitamin C. It must be obtained from outside-the-body sources. Water-soluble vitamin C is quickly excreted.1 That’s why it makes sense to supplement daily with vitamin C to ensure the body has the protection it needs. While vitamin C helps maintain tissue and speed wound healing, an overlooked strength is its impact on boosting immune function. As you will read in this article, people with common diseases have lower vitamin C blood levels than healthy individuals. With the growing body of data about the role that plant-based nutrients play in healthy aging, we sometimes forget about how much documentation exists in support of vitamin C, a nutrient found in small concentrations in certain plant foods. New evidence is corroborating what scientists long ago advocated relating to the need for humans to maintain optimal vitamin C status. Vitamin C deficiency has been associated with frequency and duration of colds, along with immune system defects.6 While colds aren’t usually dangerous in themselves, they can lead to pneumonia and other respiratory diseases, especially for aging individuals.7Colds can be an early indicator of gaps in immune function that could leave one vulnerable to a cascade of serious infections. A deficiency of vitamin C broadly affects the various key aspects of immune function, which include the innate system we are born with, the adaptive system that develops from infancy to young adulthood, the cells that kill invaders, the cells that coordinate those attacks, and even the production of antibodies that fight known infections. In some remarkable human findings, low vitamin C blood levels have been associated with a number of common human diseases.5,10 The table below shows higher plasma vitamin C levels in healthy individuals compared to those with serious diseases, most notably cancer and sepsis. A healthy vitamin C level is considered to be between 61 and 80 micromol/L. Those afflicted with serious diseases have much lower vitamin C levels. It is likely that the inflammation and oxidative stress caused by some of these diseases contributes to this reduced vitamin C since it will rapidly be used up quenching free radicals. It’s also possible that lower levels of vitamin C contributed to the development or progression of some of these disorders. This can create a potentially vicious cycle in which, just when you need extra vitamin C, your body’s stores are depleted. This also makes it especially important to increase one’s intake of vitamin C when sick. Human studies have shown that this amount of vitamin C can not only reduce the duration and severity of the common cold—but can reduce the incidence of developing a cold as well. Not all common cold studies produce consistent results. This means more than vitamin C alone is needed to combat common colds, such as using the right dose of zinc acetate lozenges as soon as cold symptoms manifest. Older adults are at ever-increasing risk of serious infections or cancers as their immune systems age. 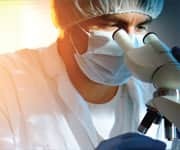 An intact immune system relies upon many layers of protection from multiple cell types and a host of immunologically active signaling molecules. The function of those specialized cells and molecules is being increasingly found to depend on adequate supplies of vitamin C in the body. Studies show that doses of vitamin C at 1,000 mg per day can effectively restore function to myriad components of the immune system. New studies confirm that vitamin C supplementation at 1,000 mg per day shortens the duration and mitigates the severity of colds, while also preventing colds from developing, especially in those with low vitamin C levels. Take a 1,000 mg per day supplement to optimize your immunity and potentially lengthen your life. One of the best-known uses of vitamin C is in the prevention and treatment of the common cold.14 While for young people a cold is little more than a nuisance, in older adults, colds can herald the onset of serious bacterial infections such as pneumonia or bronchitis, both of which increase the risk of premature death. 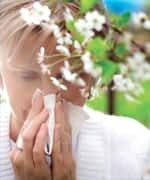 While the evidence demonstrating the ability of vitamin C to reduce the duration and the severity of colds is clear, the question of whether vitamin C supplementation could also reduce the incidence (rate of occurrence) of colds has been fiercely debated.16 Newer studies using higher doses of vitamin C show that vitamin C can, in fact, reduce the incidence of colds. Studies using 1,000 mg or more have shown that vitamin C reduces cold incidence by a remarkable 50%among people undergoing heavy stress, such as soldiers and athletes.4,15,17 These studies found that the people who had the lowest dietary intake of vitamin C had the greatest benefit. 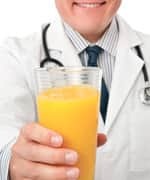 In 2014, a study of vitamin C published in the journal Nutrients provided definitive evidence that vitamin C supplementation can reduce the incidence of the common cold in otherwise healthy people with chronic stress or obesity.6 The study included 18- to 35-year-old men who had vitamin C levels of less than 45 micromol/L(61 to 80 is considered adequate). The study lasted eight weeks, and scientists recorded scores on a physical activity scale and tracked the occurrence of cold episodes. Reduction in cold duration was also significant in the supplemented versus the control group, with supplemented subjects experiencing an average of 3.2 (59%) fewer days with cold symptoms than placebo subjects. Intriguingly, supplemented subjects’ physical activity scores also rose by 40% compared with placebo recipients, strongly suggesting that supplementation was correcting hidden symptoms of vitamin C depletion, such as fatigue and malaise. 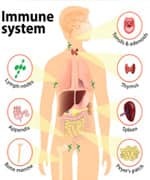 The aging of the immune system (immunosenescence) can leave older individuals vulnerable to infection and disease that wouldn’t be an issue for younger people.20 Laboratory studies indicate that vitamin C can restore an aging immune system to that of younger individuals. In fact, vitamin C produces beneficial effects on virtually all of the immune system’s cells. This same dose of vitamin C was found to boost immune cell functions in women who were an average of 72 years old.28 In this study, lymphocyte and neutrophil function improved in all members of this group, including those who were healthy, those with major depression, and those with coronary heart disease. This study demonstrated the far-reaching effects of vitamin C in the aging body. Few people realize the importance of having ample supplies of water-soluble vitamin C in their body. Without regular ingestion, ascorbic acid (vitamin C) levels drop rapidly and can produce hidden effects, long before major signs of scurvy appear. Otherwise unexplained fatigue, malaise, or “mind fog” may in reality be symptoms of vitamin C depletion. All major immune system cell lines function at their peak with ample vitamin C supplies. With inadequate intake or plasma levels, those cells are less able to detect, track, and kill invading organisms or precancerous cells. That means that vitamin C depletion can leave one vulnerable to dangerous infections. New studies are helping to confirm that vitamin C supplementation can reduce duration and severity of the most prevalent respiratory infection, the common cold, and makes it less likely one will catch a cold in the first place. Given the health risks associated with adults who develop pneumonia after a cold, prevention with adequatevitamin C (1,000 mg and higher daily doses) looks more promising. This dose, greater than what can fit into most multi-nutrient formulas, will assure you are obtaining sufficient vitamin C to emulate studies documenting improved immune function, protection against the common cold, and other age-related disorders. Padayatty SJ, Katz A, Wang Y, et al. Vitamin C as an antioxidant: evaluation of its role in disease prevention. J Am Coll Nutr. 2003 Feb;22(1):18-35. Van der Loo B, Bachschmid M, Spitzer V, Brey L, Ullrich V, Luscher TF. Decreased plasma and tissue levels of vitamin C in a rat model of aging: implications for antioxidative defense. Biochem Biophys Res Comm. 2003 Apr 4;303(2):483-7. Lykkesfeldt J, Hagen TM, Vinarsky V, Ames BN. Age-associated decline in ascorbic acid concentration, recycling, and biosynthesis in rat hepatocytes--reversal with (R)-alpha-lipoic acid supplementation. FASEB J. 1998 Sep;12(12):1183-9. Pavlovic V. A short overview of vitamin C and selected cells of the immune system. Cent. Eur. J. Med.2010 October;8(1):1-10. Johnston CS, Barkyoumb GM, Schumacher SS. Vitamin C supplementation slightly improves physical activity levels and reduces cold incidence in men with marginal vitamin C status: a randomized controlled trial. Nutrients. 2014 Jul;6(7):2572-83. Available at: http://www.ncbi.nlm.nih.gov/pubmedhealth/PMH0063028/. Accessed August 26, 2015. Delafuente JC, Prendergast JM, Modigh A. Immunologic modulation by vitamin C in the elderly. Int J Immunopharmacol. 1986;8(2):205-11. Berger TM, Polidori MC, Dabbagh A, et al. Antioxidant activity of vitamin C in iron-overloaded human plasma. J Biol Chem. 1997 Jun 20;272(25):15656-60. McGregor GP, Biesalski HK. Rationale and impact of vitamin C in clinical nutrition. Curr Opin Clin Nutr Metab Care. 2006 Nov;9(6):697-703. Strohle A, Wolters M, Hahn A. Micronutrients at the interface between inflammation and infection--ascorbic acid and calciferol: part 1, general overview with a focus on ascorbic acid. Inflamm Allergy Drug Targets. 2011 Feb;10(1):54-63. Mikirova N, Hunninghake R. Effect of high dose vitamin C on Epstein-Barr viral infection. Med Sci Monit.2014;20:725-32. Deruelle F, Baron B. Vitamin C: is supplementation necessary for optimal health? J Altern Complement Med. 2008 Dec;14(10):1291-8. Van Straten M, Josling P. Preventing the common cold with a vitamin C supplement: a double-blind, placebo-controlled survey. Advan Ther. 2002 May-Jun;19(3):151-9. Hemila H. Does vitamin C alleviate the symptoms of the common cold?--a review of current evidence.Scand J Infect Dis. 1994;26(1):1-6. Hemila H. Vitamin C and common cold incidence: a review of studies with subjects under heavy physical stress. Int J Sports Med. 1996 Jul;17(5):379-83. Falcone M, Russo A, Cangemi R, et al. Lower mortality rate in elderly patients with community-onset pneumonia on treatment with aspirin. J Am Heart Assoc. 2015;4(1). Ruiz LA, Zalacain R, Capelastegui A, et al. Bacteremic pneumococcal pneumonia in elderly and very elderly patients: host- and pathogen-related factors, process of care, and outcome. J Gerontol A Biol Sci Med Sci. 2014 Aug;69(8):1018-24. Deleidi M, Jaggle M, Rubino G. Immune aging, dysmetabolism, and inflammation in neurological diseases.Front Neurosci. 2015;9:172. Hazeldine J, Lord JM. The impact of ageing on natural killer cell function and potential consequences for health in older adults. Ageing Res Rev. 2013 Sep;12(4):1069-78. Heuser G, Vojdani A. Enhancement of natural killer cell activity and T and B cell function by buffered vitamin C in patients exposed to toxic chemicals: the role of protein kinase-C. Immunopharmacol Immunotoxicol. 1997 Aug;19(3):291-312. Toliopoulos IK, Simos YV, Daskalou TA, Verginadis, II, Evangelou AM, Karkabounas SC. Inhibition of platelet aggregation and immunomodulation of NK lymphocytes by administration of ascorbic acid. Indian J Exp Biol. 2011 Dec;49(12):904-8. Kim JE, Cho HS, Yang HS, et al. Depletion of ascorbic acid impairs NK cell activity against ovarian cancer in a mouse model. Immunobiology. 2012 Sep;217(9):873-81. Leibovitz B, Siegel BV. Ascorbic acid, neutrophil function, and the immune response. Int J Vitam Nutr Res.1978;48(2):159-64. Anderson R. Effects of ascorbate on normal and abnormal leucocyte functions. Int J Vitam Nutr Res Suppl. 1982;23:23-34. Caldefie-Chezet F, Walrand S, Moinard C, Tridon A, Chassagne J, Vasson MP. Is the neutrophil reactive oxygen species production measured by luminol and lucigenin chemiluminescence intra or extracellular? Comparison with DCFH-DA flow cytometry and cytochrome c reduction. Int J Clic Chem. 2002 May 7;319(1):9-17. Available at: http://www.ncbi.nlm.nih.gov/books/NBK27118/. Accessed August 26, 2015. Kennes B, Dumont I, Brohee D, Hubert C, Neve P. Effect of vitamin C supplements on cell-mediated immunity in old people. Gerontology. 1983;29(5):305-10. Alvarado C, Alvarez P, Jimenez L, De la Fuente M. Improvement of leukocyte functions in young prematurely aging mice after a 5-week ingestion of a diet supplemented with biscuits enriched in antioxidants. Antioxid Redox Signal. 2005 Sep-Oct;7(9-10):1203-10. DeFuria J, Belkina AC, Jagannathan-Bogdan M, et al. B cells promote inflammation in obesity and type 2 diabetes through regulation of T-cell function and an inflammatory cytokine profile. Proc Natl Acad Sci U S A. 2013 Mar 26;110(13):5133-8. Martinez PJ, Mathews C, Actor JK, et al. Impaired CD4+ and T-helper 17 cell memory response to Streptococcus pneumoniae is associated with elevated glucose and percent glycated hemoglobin A1c in Mexican Americans with type 2 diabetes mellitus. J Lab Clin Med. 2014 Jan;163(1):53-63. Ozerkan D, Ozsoy N, Cebesoy S. Response of thymus lymphocytes to streptozotocin-induced diabetes and exogenous vitamin C administration in ratsdagger. Microscopy (Oxf). 2014 Dec;63(6):409-17. Schwartz-Albiez R. Naturally occurring antibodies directed against carbohydrate tumor antigens. Adv Exp Med Biol. 2012;750:27-43. Corthesy B. Multi-faceted functions of secretory IgA at mucosal surfaces. Front Immunol. 2013;4:185. Available at: http://www.ncbi.nlm.nih.gov/books/NBK27162/. Accessed August 26, 2015. Wang JP, Kim HJ, Chen YJ, et al. Effects of delta-aminolevulinic acid and vitamin C supplementation on feed intake, backfat, and iron status in sows. J Anim Sci. 2009 Nov;87(11):3589-95. Wang A, Xie F, Wang YH, Wu JL. Effects of vitamin C supplementation on growth performance and antioxidant status of layer ducklings. J Anim Physiol Anim Nutr (Berl). 2011 Aug;95(4):533-9. Levy R, Shriker O, Porath A, Riesenberg K, Schlaeffer F. Vitamin C for the treatment of recurrent furunculosis in patients with imparied neutrophil functions. J Infect Dis. 1996 Jun;173(6):1502-5. Hampl JS, Taylor CA, Johnston CS. Vitamin C deficiency and depletion in the United States: the Third National Health and Nutrition Examination Survey, 1988 to 1994. Am J Pub Health. 2004 May;94(5):870-5. Garcia-Bailo B, El-Sohemy A, Haddad PS, et al. Vitamins D, C, and E in the prevention of type 2 diabetes mellitus: modulation of inflammation and oxidative stress. Biologics. 2011;5:7-19. Harding AH, Wareham NJ, Bingham SA, Khaw K, Luben R, Welch A, Forouhi NG. Plasma vitamin C level, fruit and vegetable consumption, and the risk of new-onset type 2 diabetes mellitus: the European prospective investigation of cancer--Norfolk prospective study. Archives Int Med. 2008 Jul 28;168(14):1493-9. Dakhale GN, Chaudhari HV, Shrivastava M. Supplementation of vitamin C reduces blood glucose and improves glycosylated hemoglobin in type 2 diabetes mellitus: a randomized, double-blind study. Adv Pharmacol Sce. 2011;2011:195271. Afkhami-Ardekani M, Shojaoddiny-Ardekani A. Effect of vitamin C on blood glucose, serum lipids & serum insulin in type 2 diabetes patients. Indian J Med Res. 2007 Nov;126(5):471-4. Rodrigo R, Fernandez-Gajardo R, Gutierrez R, Matamala JM, Carrasco R, Miranda-Merchak A, Feuerhake W. Oxidative stress and pathophysiology of ischemic stroke: novel therapeutic opportunities.CNS Neurol Disord Drug Targets. 2013 Aug;12(5):698-714. Elkind MS. Princeton Proceedings: Inflammatory Mechanisms of Stroke. Stroke. 2010;41(10 Suppl):S3-S8. Black PH, Garbutt LD. Stress, inflammation and cardiovascular disease. J Psychom Res. 2002 Jan;52(1):1-23. Dhalla NS, Temsah RM, Netticadan T. Role of oxidative stress in cardiovascular diseases. J Hyperten.2000 Jun;18(6):655-73. Csanyi G, Miller FJ, Jr. Oxidative stress in cardiovascular disease. Int J Molec Sci. 2014;15(4):6002-8. Ashor AW, Lara J, Mathers JC, Siervo M. Effect of vitamin C on endothelial function in health and disease: a systematic review and meta-analysis of randomised controlled trials. Atherosclerosis. 2014 Jul;235(1):9-20. Shaik-Dasthagirisaheb YB, Varvara G, Murmura G, et al. Role of vitamins D, E and C in immunity and inflammation. J Biol Regul Homeost Agents. 2013 Apr-Jun;27(2):291-5. Traber MG, Stevens JF. Vitamins C and E: beneficial effects from a mechanistic perspective. Free Radic Biol Med. 2011 Sep 1;51(5):1000-13. Chaturvedi R, Chattopadhyay P, Banerjee S, et al. Iron-rich drinking water and ascorbic acid supplementation improved hemolytic anemia in experimental Wistar rats. Int J Food Sci Nutr. 2014 Nov;65(7):856-61. Alagl AS, Bhat SG. Ascorbic acid: New role of an age-old micronutrient in the management of periodontal disease in older adults. Geriatr Gerontol Int. 2014 Nov 19. Finck H, Hart AR, Jennings A, Welch AA. Is there a role for vitamin C in preventing osteoporosis and fractures? A review of the potential underlying mechanisms and current epidemiological evidence. Nutr Res Rev. 2014 Nov 21:1-16. Ruiz-Ramos M, Vargas LA, Fortoul Van der Goes TI, Cervantes-Sandoval A, Mendoza-Nunez VM. Supplementation of ascorbic acid and alpha-tocopherol is useful to preventing bone loss linked to oxidative stress in elderly. J Nutr Health Aging. 2010 Jun;14(6):467-72.